The beauty of this recipe is that it requires just one rising so as far as yeast breads go it’s fairly speedy. There is nothing like the smell of homemade bread baking. 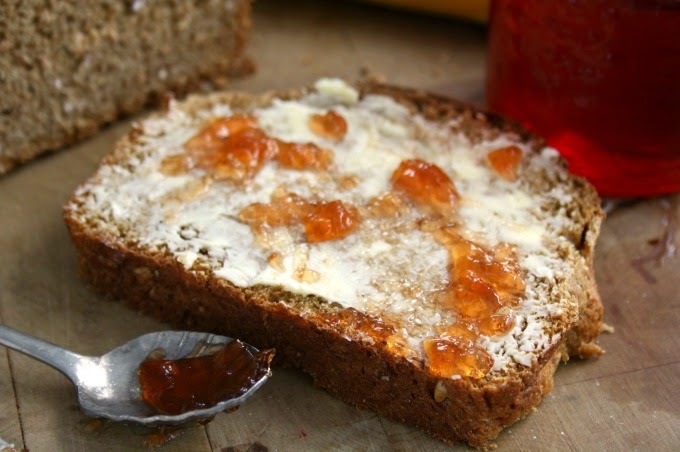 Although I grew up in a home full of fresh baking, homemade bread was always a treat, especially brown bread. And like many Maritime families, we often ate it along with our baked beans on Saturday nights during winter. It wasn’t until I was at university that I learned to bake bread on my own. 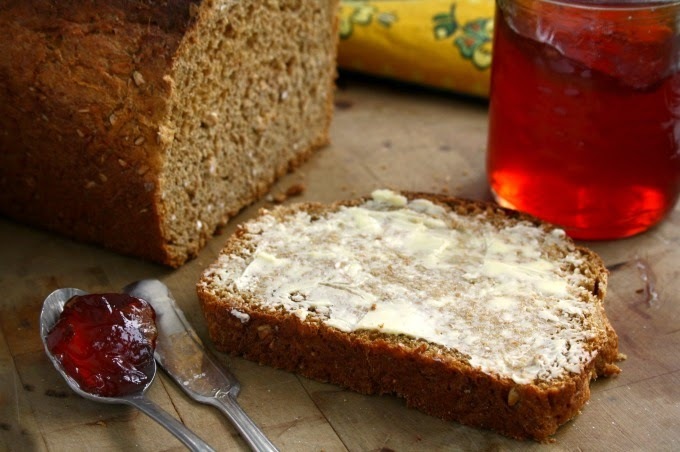 Baking with yeast had always been intimidating but when my friend Lisa sent me this cracked wheat brown bread recipe I decided it was time to learn so called mom for some tips. After that bread baking became a weekly ritual. It was easy to find time for this simple recipe and the process of mixing and kneading was a great stress relief. It was a meditation of sorts, a way to quiet the mind. The beauty of this recipe is that it requires just one rising so as far as yeast breads go it’s fairly speedy. Look for cracked wheat in the natural foods section at the grocery store or at Bulk Barn. This bread is best eaten within two days. Let rise until double (1-11/2 hours). I use stone ground whole white flour for this recipe (contains 85% of the grain). This bread makes excellent bead crumbs. If you have leftovers after two days whirr it in the food processor and freeze for use in recipes that call for bread crumbs.